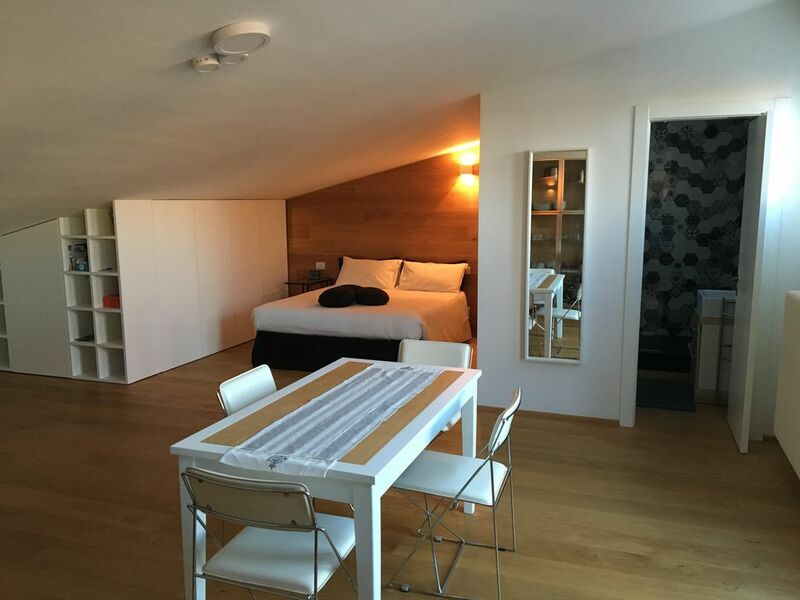 Attic of 60 sqm completely renovated and modernized, with private entrance, terrace and gazebo for the exclusive use of guests. Parking for guests is reserved in the courtyard, and has an electric gate. In this studio there are 4 beds available (1 double bed + 1 sofa bed for two). In the apartment there is parquet. Air conditioning and heating are autonomous. Kitchen (with fridge, dishes and dishwasher), satellite TV with Sky Cinema, and free wi-fi. The bathroom is special, with a very large shower. On request, also fireplace lit up to €. 7.00 / day. The structure is ideal for families who want to find the comforts of their home in the places to stay, but it is also suitable for a romantic getaway, to meet and rediscover themselves. Very suitable for long stays. "Il Cantagallo" is an idea by Roberta and Francesco Gallo, a tribute to his family's music, theater and literature activities. The logo was designed by Simona Cuscianna. Matera is a unique city, one of the oldest in the world. Its rocks and rocky churches create a suggestion that is difficult to forget, and the numerous cultural activities organized throughout the year offer food for thought, growth and deepening. But Matera is also its territory. Do not breathe the atmosphere of Montescaglioso and its abbey, of Miglionico and its castle, of Bernalda and its wild beach of Metaponto, of Accettura and its Park of Gallipoli Cognato, of the Park of Grancia, of Castelmezzano and its "Flight of the angel ", of the peaks of the Pollino Park, of Gravina di Puglia and its rock formations, of the trulli of Alberobello or of the magical Grotte di Castellana, would be to deny deep and lasting emotions.